Below is the 2017 Exhibitor Services Information. To use this page, click on the links below to jump to different sections. Use the “Top” button to return to the menu at the top of the page. Information Updates: SRE will add helpful information to these instructions on a frequent basis. We recommend that you review these pages again 2 weeks before the show, print and bring a copy with you to the show for reference. Please note the important dates and deadlines below. Credentials are required for entry on all days the show is open to the public. Exhibitor credentials allow for show floor access at 12:00PM on Thursday and one-hour prior to show open on Friday and Saturday. Payment in full for all exhibit space is required by May 1st. No exhibitor credentials will be issued at registration unless full payment has been made. The Terms and Conditions on the Application/Contract for Exhibit Space will be enforced at SRE Shows. Please review and contact SRE if you have any questions. To ensure public safety, exhibitors must follow local and facility regulations. We are required to comply with all federal, state and municipal laws and administrative rules, including but not limited to those relating to licenses and permits, property protected by copyright, work hours, work conditions, safety standards and payment of wages and taxes. Staffing your exhibit during all public show hours is a requirement in the terms and conditions of your exhibit space contract. Exhibits must remain in place until 5pm on Saturday. Any unstaffed exhibits or removal of exhibits before 5pm on Saturday may result in the loss of exhibit space at future shows. Animals that are necessary to exhibit space must be confined to the exhibit space or kept in a portable kennel. During transit, animals must be on a leash or rein. No pets are allowed. For safety purposes, SRE requests children under the age of 12 not participate with show move-in and move-out. Alcohol distribution to the public is state license controlled and not permitted by exhibitors. Consumption of alcohol in exhibit space is prohibited. Security staff are employed to protect exhibitor property and to ensure show rules are enforced. Adequate security staff is scheduled during the hours that the building can be accessed; please observe these hours. 24-hour show security is provided for the duration of the event. SRE and Facility Management are not responsible for losses of any kind. Exhibitors are responsible for carrying general liability insurance for their exhibit and business. Avoid leaving small items of value in booths. Cover display with a flameproof drop cloth overnight. Run wire or cable through exhibit and lock at night. Report any theft immediately to SRE Registration/Information staff. Please do not call 911. Emergencies are responded to by Facility Emergency Services Staff. In the event of an emergency please contact SRE staff on the floor or at the SRE Registration/Information desk. We will direct services to the location of the emergency. Exposed to aisle on the front side with neighboring booths to left, right and typically behind. Maximum height of 10 feet in back of booth. Maximum height of 4 feet for front of booth. No rear facing signage. Signs should only be viewable from the aisle in front of booth. No canopies or canopy frames allowed. Do not hang items on or damage drape fabric. Merchandise must be hung on a solid back wall or displays. All displays are subject to management approval. Exposed to aisles on three sides and composed of two standard in-line booths. No canopies or canopy frames are allowed. Indoor/outdoor space with no drapes, dividers or electricity provided – exhibitor must order. Maximum height of 4 feet within 3 feet of the aisle. No canopies or canopy frames that impede or block line of sight. All signage must be hung securely. When secured to building, signs must be approved by SRE and hung by Decorator. SRE and all exhibitors are required to follow the event facility Fire Marshal rules. See the information packet from the Show Decorator for a list of Fire Marshal requirements. All electrical devices with three-wire supply cords shall utilize “UL” ground receptacles. All extension cords must be of heavy-duty three-wire construction. All power cords must be kept behind display with nothing placed on top of cords. Fuel level must not exceed ¼ tank and/or less than 3 gallons. Once inside exhibit area, negative battery terminal must be disconnected and fuel tank cap taped/locked. Upon inspection of these items, SRE will provide the vehicle/display item with an inspection tag. Used propane tanks are not allowed indoors. New propane tanks must have original factory seal. Helium is not allowed indoors. All materials used indoors for display or decoration should be made of flame retardant materials and certified as flame retardant. This includes booth decorations such as vegetation, straw, grass, etc. Fire regulations prohibit excess literature, product or empty packing containers from being stored behind back drapes or display wall. Aisles must be kept clear of all displays and equipment. Entrance and exit doors are required to remain unobstructed at all times. Facility fire extinguishers and firehose cabinets are required to remain visible and accessible at all times. Constructed tents used for demo and display must be approved by show management prior to show. All covered exhibits require a battery-powered smoke detector and fire extinguisher in exhibit space. When required, the Fire Marshal will inspect for these safety items. Maintain audio volumes that are not disruptive to other exhibits. Game calling exhibitors must follow SRE game calling policy. Exhibitors should be aware that pre-recorded music is subject to copyright laws and fees as per ASCAP, BMI and SESAC. All gun displays of any type must have prior written approval from SRE. No firearms sales, ammunition, powder, primer are allowed on site. All firearms must be deactivated by removal of the firing pin or other alteration so they are rendered incapable of firing. Firearms must be secured with a lock. Locks must remain installed for the duration of the show. Move-in will begin Thursday prior to the show at 12:00pm with drive-in and carry-in access. To avoid congestion, move-in is encouraged for Thursday afternoon if possible. Please read through the following information and contact your Account Representative with any questions. NOTE: SRE does not provide fork lifts, hand trucks, dollies, brooms or vacuums during move-in. Please contact the decorator to arrange scheduling and payment. 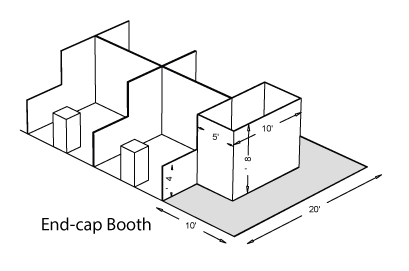 Bulk spaces are designated by a “B” in your exhibit space number, such as B350. Bulk drive-in set-up is on Thursday only. Please see schedule. 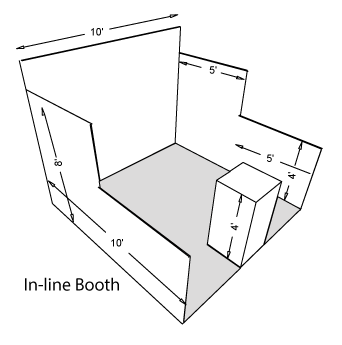 LIFO spaces are designated by an “L” in your exhibit space number, such as L224. These spaces block drive-in access and must be the last to set-up and first to move-out. LIFO spaces can set-up only on Thursday after 4:00pm. Carry-in access from the street or Irving Convention Center parking lot is available. Vehicle access to the exhibit floor is from the dock entrance. Check in at the dock entrance guard station and proceed up to the convention center. Enter through the Dock Door that corresponds with your booth location. To avoid congestion, unload, get your exhibitor credentials from Registration/Information and remove your vehicle from the building before setting up your display. Dock freight fees do not apply to drive in and unload. Drive-in for standard in-line booths ends at 5:00pm on Thursday. No exceptions. SRE Registration/Information is staffed all days. Registration is required before setting-up your exhibit space. SRE staff will confirm your exhibit space location, payments, applicable licenses, permits and provide your required exhibitor credentials. Discounted parking and guest passes are available for purchase at Registration. Exhibitors will receive wristbands at Registration. Standard inline booths receive up to 4 wristbands. Contact your Account Representative to discuss your needs. Wristbands are designed to be worn on the wrist for the duration of the show; they must be fastened to the wrist, no looser than two fingers and are void if removed. Wristbands can be exchanged for exhibitor one-day passes to accommodate shift workers. Invite your customers! Discounted guest passes can be purchased at the SRE Registration/Information Desk during the show or in advance. To order in advance email to SRE at sales@selfrelianceexpo.com by May 1st. The Will Call Desk is located by the ticket booths in the lobby of Irving Convention Center. Will Call is open one hour prior to show opening and closes one hour before show close. The SRE Registration/Information desk has the necessary envelopes and can assist you with leaving tickets and exhibitor credentials at Will Call. Parking is available during show days. An exhibitor 3-day parking pass is free and can be picked up during check-in at the SRE Registration/Information Desk. Click Here to view exhibitor parking location on Google Maps. GPS coordinates for parking location are 39.757976, -104.991664. The Fire Marshall does not allow motor vehicle parking on the docks. Parking is for trailers only. Advanced reservations for trailer parking is required. Contact your SRE Account Representative or SRE Customer Service (720) 575-7600 for reservations. See SRE Registration/Information Desk for onsite instructions. Empty trailer parking is available at Exhibitor Show Parking. Click here to view exhibitor empty trailer parking location on Google Maps. Please speak with SRE Registration/Information on parking directions and details. NOTE: No early tear-down! As advertised to the public, all exhibits must stay intact and fully staffed until 5:00pm. Failure to do so may result in the loss of exhibit space at future shows and a $100 fine. Tear-down can begin as soon as all the public have exited the building. During tear-down, please keep displays out of the isle. No vehicles will be allowed on the show floor until booth has been torn down. Due to dock congestion, exhibitors wanting drive-in access to the exhibit hall are requested to line up Parking Lot from 5:10pm to 8:00pm. See the SRE Registration/Information desk for directions. There is an exclusive food services contractor for the Irving Convention Center. To provide samples, a Food Handler’s Card is required. A copy of the Sampling Form. A copy of the Certificate of Insurance for $1,000,000 Liability Insurance naming The National Self Reliance Org. as additionally insured. Flammable liquids, compressed gasses or dangerous chemicals. Electrical, mechanical or chemical devices deemed hazardous by the Fire Department. Fuel powered heaters, barbecue, heat-producing or open-flame devices, candles, fuel powered-lamps, lanterns, etc. Click Here to download the full Decorator Information and Order Forms. Additional electrical, phone and water services can be ordered online through the Irving Convention Center. Wireless internet at the Irving Convention Center is available. Wireless services can be purchased onsite by turning on your device, selecting “Exhibitor Internet” and following the prompts. NOTE: SRE does not contract with any third party accommodation service and does not authorize any accommodation service to contact you on SRE’s behalf. For SRE special pricing, contact the hotel directly or use the reservation links below. SRE Gear Bags will carry your product straight to the market. The SRE Gear Bag promotion airs on radio stations in every SRE market. Each bag is filled with $300-$600 of outdoor gear and heavily promoted in 20 to 50 radio spots. Many products are promoted on station websites, too. Plus, SRE uses gear bag items in the Outdoor Product Showcase and possibly in TV publicity spots. Click Here to submit your product. Submissions for Irving & Denver open until may 1, 2017. Click Here to fill in the Show Specials web form. Submission deadline is May 1st, 2017. * Remember, to qualify as a show special the discount must be greater than 10% off the regular price. SRE promotes the latest and greatest preparedness gear at each show through our Preparedness Product Showcase. Products featured in the showcase will be demonstrated by our Gear Guru, Ron Douglas, and attendees will have an additional opportunity to touch, try, demo and perhaps win your product. Click Here to submit your product. Submission deadline is May 1, 2017. Does your business have a Facebook page? Have you “liked” the SRE Facebook page? When you like a Facebook business page, you establish a connection with that business in a way that potential customers can see. Your updates and creative content can touch SRE’s 30,000+ fans. As we grow, so will your exposure. Face-to-face selling remains one of the most cost-effective marketing techniques. Hit the ground running by providing guest passes to existing or potential clients in the SRE market in which you will be exhibiting. Purchase deeply discounted passes in advance by emailing sales@selfrelianceexpo.com by May 1st. Tickets not mailed to your guests can be left at the SRE Will Call at each show. Tickets are available for purchase at SRE Registration/viteformation Desk throughout the show. Every SRE show captures media coverage from print and online publications, radio and television stations. The media is always looking for new people, products and services to highlight the outdoors. This is your opportunity to benefit from free media exposure! What type of publicity might work? For sure, new products. Gear that’s “green” or high-tech, too. Other productive angles include a story involving local youth or family, or a current local environmental project. Also, debuting a new destination or product exclusively at the show may generate a media buzz. Be prepared to present your product or service to the media. Television coverage of the show is typically Wednesday and Thursday mornings. If chosen, you must arrive early and have your exhibit space visually captivating. Benefit from the SRE branding by using the official SRE logo in your promotional material. Leverage your exhibitor status in your announcements, social media posts and press releases. Also, list your booth number on all your materials so media and consumers can find you. Click Here to find our brand resources on the media page.